In the summer of 1986 a renowned American synth manufacturer released a machine with a remarkable new method of constructing sound. That machine was the Sequential Prophet VS and the method was vector synthesis. A ground-breaking instrument in its time and still a sought-after collectible to this day, the Prophet VS was ill-fated in the market for a number of reasons and its failure signaled the end of Sequential's distinguished legacy. Needless to say the tonal range and sheer flexibility of the Prophet VS was brilliant. The new digital vector synthesis engine was placed in front of an all-analog signal path with renowned Curtis amps and filters giving it incredible warmth and an unmistakable character. The palette of sounds that were possible with the VS was immense. Not only did it offer a world of never-before heard sounds but it could closely imitate both the analog classics and its modern digital peers alike. Another first, the Prophet VS saw great emphasis placed on expressive control over a stereo sound stage allowing for great depth and dimension, leading in large part to it capturing the imagination of an entire generation of film composers including the seminal Vangelis and John Carpenter. Vector Pro begins with one of these rare treasures, a fully serviced Sequential Prophet VS. Sound designers in our studio poured over and through this machine to create a multitude of patches, from textbook classics to the wild and experimental, resulting in a true exposition of the machines capabilities. These patches were then multi-sampled through a world-class system at high-resolution, capturing every detail. While no sample-based instrument can ever be definitive in a true sense, Vector Pro offers a staggeringly thorough depiction of the Prophet VS with a 30 GB library of sample data. Filtering, modulation, expression and effects are all realized with the capable UVI Engine, offering near-limitless customization options. Two basic architectures are provided in Vector Pro, VS and VX. 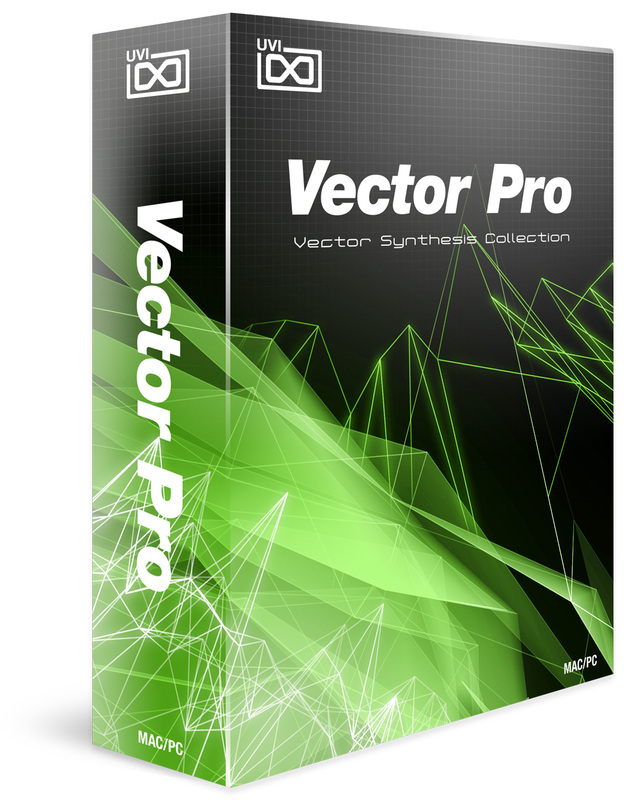 Vector Pro VS offers an efficient and flexible single oscillator system which expresses quite unmistakably the qualities of the Prophet VS. Vector Pro VX takes things a step further with a dual-layer system built on a library of raw multi-sampled waveforms. This system allows for the exploration of completely new sounds with independent control of each layers amp, filter, stereo and effects sections, a built-in LFO, step modulator and two versatile arpeggiators. User interfaces for both recall the classic design of the Prophet VS and sport a full array of programmable controls that should be both immediate and intuitive to anyone with synthesizer experience. 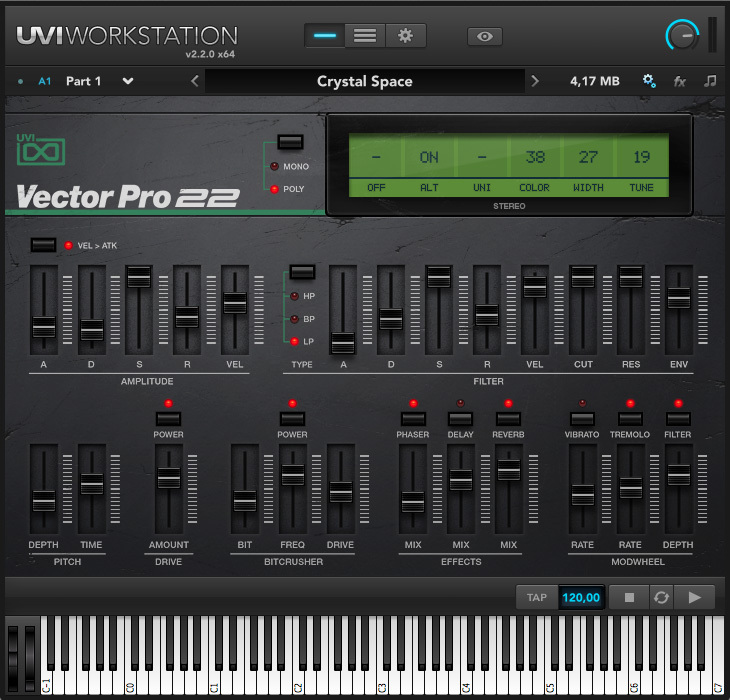 As a bonus we've included Vector Pro 22. Made in the same depth and fashion as Vector Pro VS, Vector Pro 22 details the classic Yamaha SY22 vector synthesizer. The SY22 was designed by former Sequential engineers after Yamaha purchased the group and is loosely based on the Prophet VS architecture. Offering its own unique character and modulation opportunities, the SY22's sound makes a perfect compliment to the VS library. 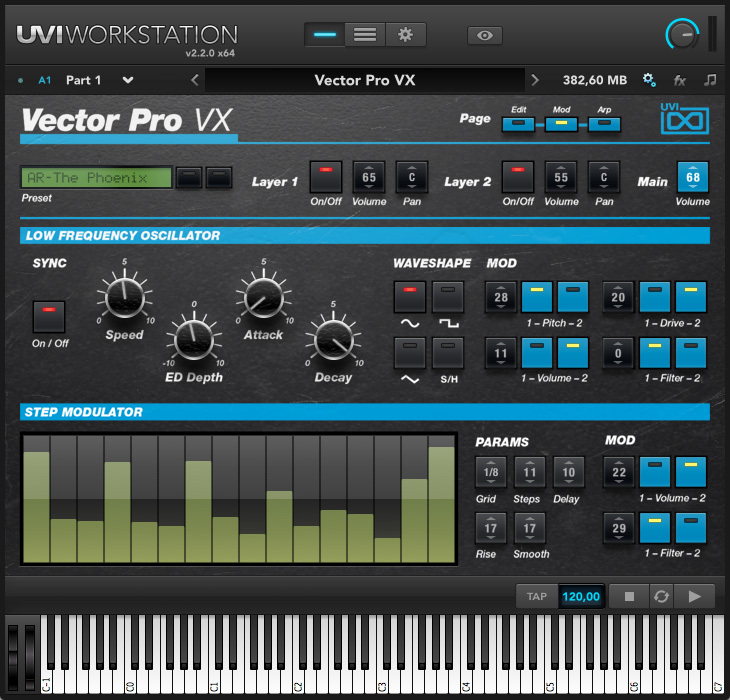 Vector Pro offers a huge range of sounds of both impeccable quality and distinct character. A great sounding instrument sure to please sound designers, producers, composers or anyone else looking for sonic inspiration.